A single strap holds this gorgeous wide plaid dress up, boning in the bodice lends support to this dress. 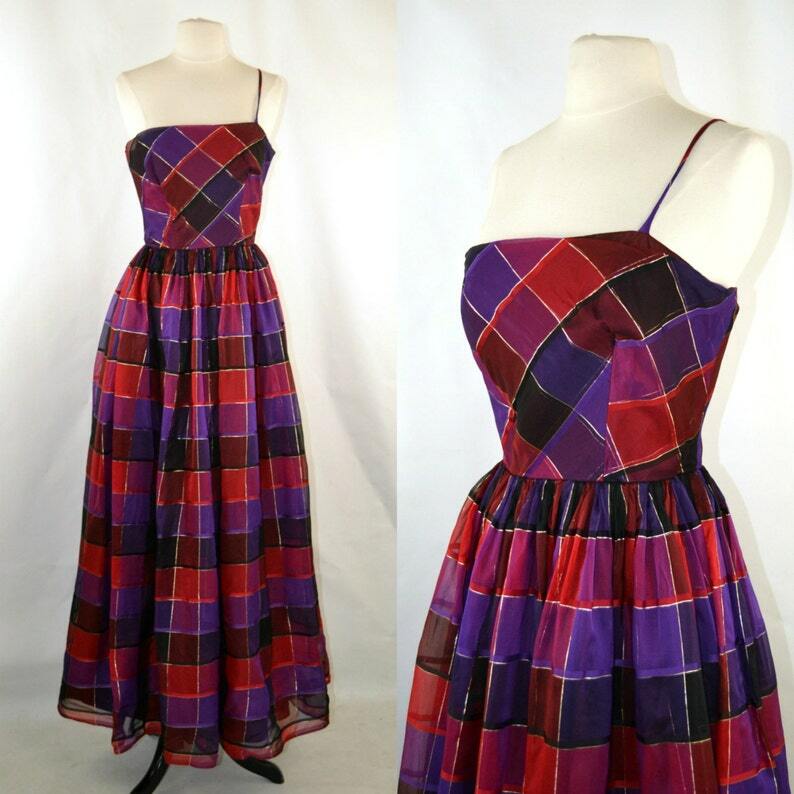 The large red, purple and black plaid pattern has a small gold lines through the whole dress. Perfect for any holiday formal party. Original owner removed the cummerbund and a bow from the dress, they will be sent along with the dress. 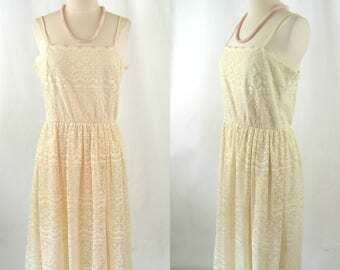 All measurements listed for the vintage item are the actual fabric measurements of the garment. All measurements are taken in inches. In order to assure proper fit garments measurements must be slightly larger than your actual body measurements. If you do not know your body measurements, the easiest way to determine if a garment will fit you is to find a similar garment you may already have. Lay the garment on a flat surface. Make sure all buttons, zippers, etc. are fastened. Get your tape measures out and measure the garment. Please check shop policies for Returns.